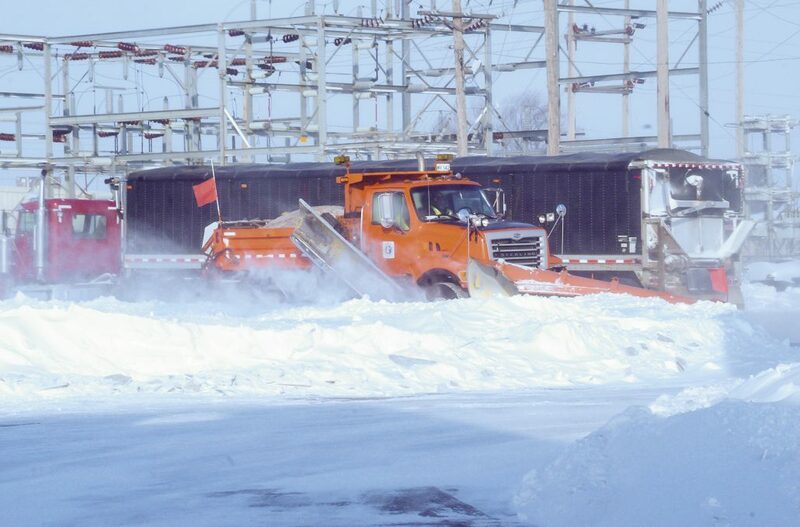 MnDOT plows have been a common sight in and around Tracy this week. School bells at Tracy schools haven’t rung since last Friday, but that doesn’t mean class hasn’t been in session. Because of a Monday snowstorm and the historically-cold temperatures predicted for Tuesday and Wednesday, the doors at Tracy schools were closed for the first three days of the week. And while extracurricular events have been moved to different days, the learning has continued, thanks to newly-implemented Virtual Learning Days. In a Virtual Learning Day, students complete learning activities and assignments provided by their teacher at home. They receive those learning activities and assignments for each subject that would have originally taken place during a regular school day. The first Virtual Learning Day at TAPS was January 18. This week alone, there will be three more such days, meaning the school has just one Virtual Learning Day left, as state statute allows schools to use up to five days in a school year as Virtual Learning Days. A Virtual Learning Day is an option that can be used in place of one or more cancelled school days or make-up days but cannot be used for all cancelled school days in any given school year. Tracy Area Elementary School first-grade teacher April Arnold said she has received a positive reaction about Virtual Learning Days from her students and their parents. “They’ve really enjoyed the layout that we have,” Arnold said. Students and parents access Virtual Learning Day resources through the school district’s web site. For the first Virtual Learning Day, transitional kindergarten students and those in K-4 had to complete a BINGO assignment. Each student was charged with getting a BINGO by completing tasks that included narrative writing, singing/listening to music, art, social studies, physical activity, science, math and reading. Students had to complete an activity from each BINGO column on their board. Students in grades 5-12, meanwhile, used the Schoology program to complete their respective assignments online.